Why Does Your Furnace Smell, When You Turn It On? https://championhvac.ca/wp-content/uploads/2017/03/champ-01.png 0 0 miasoft https://championhvac.ca/wp-content/uploads/2017/03/champ-01.png miasoft2017-07-24 09:28:342017-07-06 09:33:03Why Does Your Furnace Smell, When You Turn It On? What Do You Need To Know About Quality of The Indoor Air? 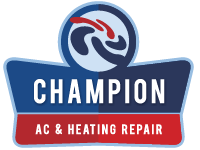 https://championhvac.ca/wp-content/uploads/2017/03/champ-01.png 0 0 miasoft https://championhvac.ca/wp-content/uploads/2017/03/champ-01.png miasoft2017-07-14 09:19:592017-07-06 09:24:46What Do You Need To Know About Quality of The Indoor Air? How To Get Rid of Hot And Cold Spots When Using An Air Conditioner? https://championhvac.ca/wp-content/uploads/2017/03/champ-01.png 0 0 miasoft https://championhvac.ca/wp-content/uploads/2017/03/champ-01.png miasoft2017-07-10 09:14:572017-07-06 09:19:17How To Get Rid of Hot And Cold Spots When Using An Air Conditioner?